A book tells your family and friends that you know what they like to read, but most important, you know what inspires them. And you’ve taken the time to pick out something just for them. Here are some recommendations for a wide variety of readers on your shopping list. Happy shopping and Happy Holidays! 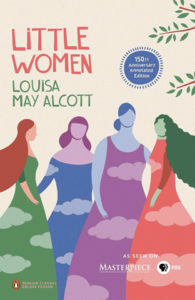 Alcott’s beloved masterpiece, Little Women, celebrates its 150th anniversary, making it a timely gift. Set during the Civil War, the book follows the lives of the March family. Mr. March is fighting for the Union, while Marmee and their four children—Meg, Jo, Beth and Amy—stay at home, in reduced financial circumstances. The girls follow different paths as they grow into women. Meg and Amy marry, Beth dies young, and Jo, the rebel, initially resists courtship and marriage, but eventually finds the right man and becomes a writer. Alcott fully develops the characters in the context of the Civil War. The reader feels like she knows the family personally. At the end of the book, you will not want to leave. Penguin Classics published a new annotated edition with a foreword by the singer/writer Patti Smith, a long-time admirer. In the summer of 1862, a group of young British artists, including Edward Radcliffe, go on a retreat to Birchwood Manor on the shores of the Upper Thames. By the end of the retreat, one woman is dead, a second missing and Radcliffe’s life is in ruins. Jump ahead 150 years as a woman discovers mysterious items that harken back to that retreat at Birchwood. The story is told by multiple voices over time and leads the reader through a murder mystery infused with art, love and loss. 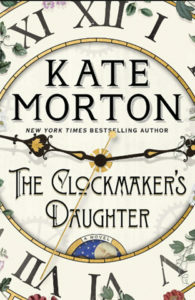 Woven throughout the book is the voice of the clockmaker’s daughter, a woman who has been forgotten but has watched everything unfold. For fans of Morton (The Lake House, The Secret Keeper), this is a must-read. 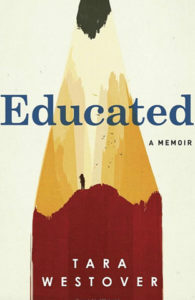 Tara Westover shares the story of her unusual upbringing in remote Idaho in this coming-of-age book. Her parents were survivalists as well as religious zealots. She didn’t have a birth certificate and never went to school or to a doctor. Her brother was sadistic and violent—he tortured her while her parents looked away. Her father’s moods ran from severe depression to tyrannical rage. Her mother acquiesced. Although her description of the abuse and neglect in the family can be shocking, that’s not the focus of the book and there’s no self-pity on the pages. Westover gets “educated” not only in school (she has a Ph.D. in history from Cambridge) but in the understanding of herself and her past. This is the latest in a long line of books by Doris Kearns Goodwin, renowned presidential historian and Pulitzer Prize-winning author. 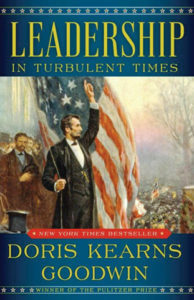 In this book she explores leadership by studying Abraham Lincoln, Theodore Roosevelt, Franklin D. Roosevelt and Lyndon B. Johnson. These men were ambitious and had a capacity for resilience that allowed them to lead the country forward against nearly insurmountable odds. This pivotal work is a guide for established leaders, beyond political figures, and is particularly relevant to the turbulent times we live in today. 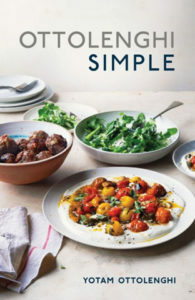 Renowned chef Yotam Ottolenghi once again brings his Middle Eastern flair, this time to simpler recipes that require 30 minutes to prepare and 10 or fewer ingredients. The Autumn/Winter dishes here include pumpkin, saffron and orange soup and Chili fish with tahini. Your holiday table might boast Arnolds’s roast chicken with caraway and cranberry stuffing along with roasted baby carrots with harissa and pomegranate. What’s for dessert? Nutella, sesame and hazelnut rolls are a treat. With tantalizing photographs, this is a must for Ottolenghi fans. 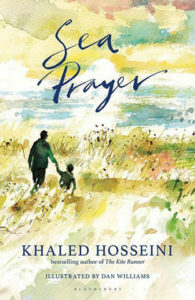 An exquisitely written and illustrated book, Sea Prayer is composed in the form of a letter from a father to his son on the eve of their journey as refugees. Written in simple prose, the book is appropriate for middle grade and adult readers. Best-selling author Khaled Hosseini (Kite Runner, A Thousand Splendid Suns) will donate author proceeds to the UN Refugee Agency to help fund relief efforts for refugees around the globe. 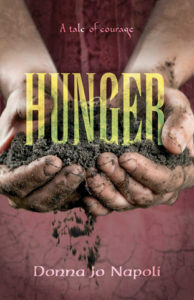 Set in Ireland during the potato famine, Hunger tells the story of a family destitute because of the potato blight. The book’s narrator, the 12-year-old daughter Lorraine, has never faced a situation this grim. Known for her historical fiction for middle schoolers, Napoli (author of Hidden and Hush) follows Lorraine as she fights for her family’s survival—will they stay in Ireland or flee to greener pastures? “You are a dream that the world once dreamt and now you are part of its song, that’s why you are here … right where you belong.” (Excerpt from You Belong Here). 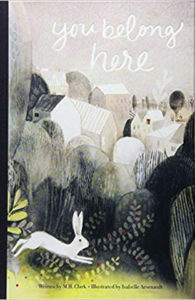 Birds, deer, turtles, rabbits, foxes and more figure in the landscape that’s beautifully illustrated by award winner Isabelle Arsenault. The gentle and lyrical prose tells the child that wherever they are, there they belong. You Belong Here is a delightful book for new parents and grandparents to read to new babies, young toddlers and adopted children. Find the Wellington Square Bookshop on Facebook, Instagram and Twitter. The Bookshop hosts a café, weekly story times on Tuesdays for children (ages 1–5), monthly fiction and nonfiction book clubs, author events with book signings and an Avid Reader podcast available on Podomatic. 549 Wellington Square, Eagleview Town Center, Exton. WellingtonSquareBooks.com.